The Latécoère 300 series of aircraft were a group of civil and military flying boats. They were manufactured by French aircraft manufacturer Latécoère in the 1930s. Original Laté 302 aircraft had 930-hp engines, bow, beam, and engine nacelle machine gun ports, and a bomb load of 300 kilograms (660 lb). The aircraft supported a crew of four and included sleeping accommodations. Fuel and payload were stored inside the hull. The 302s and converted 301 were in service at the start of World War II, and continued in military service, flying patrols from Dakar until retired due to lack of spare parts, the last aircraft being grounded at the end of 1941. 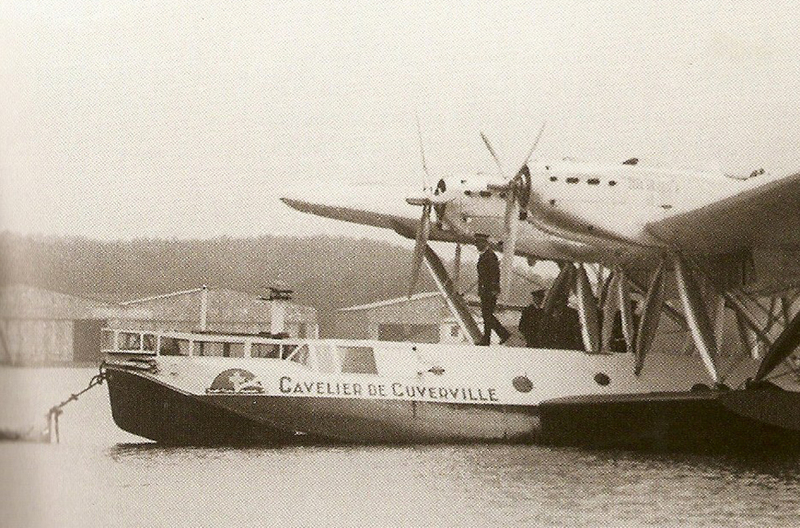 The Laté 523 was the navalized variant of The Latécoère 521, "Lieutenant de Vaisseau Paris", a French six-engined flying boat, and one of the first large trans-Atlantic passenger aircraft. The four inboard engines were mounted as tandem push-pull pairs. The Latécoère 612, which was to be powered by four Pratt & Whitney R-1830 radial engines was a new version of the Latécoère 611 Prototype - powered by four Gnome-Rhône 14N-30 / Gnome-Rhône 14N-31 engines, (left and right handed rotation), given the name Achernar.